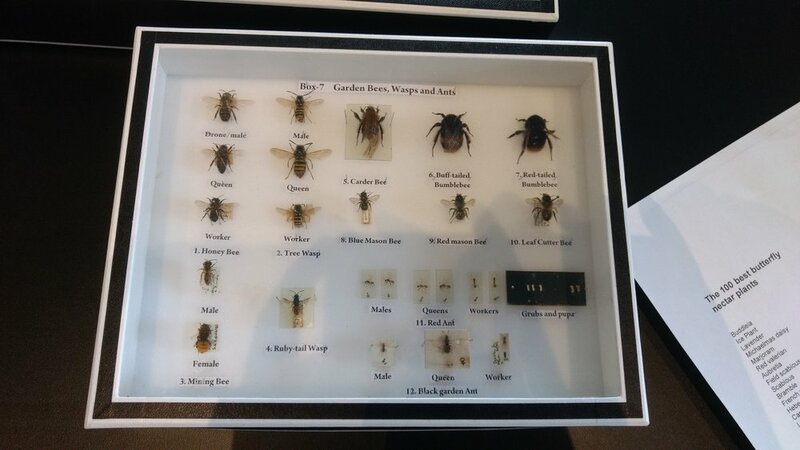 In earlier posts I have written about some of the wonderful Facing Out sessions at Maggie's Manchester where curators from Manchester Museum came in to talk to centre visitors about some of the fascinating objects that they had brought with them. These further sessions were also fantastic, filled with fascinating stories and lively chat. Phil Rispin joined us to talk about Entomology, the study of insects. 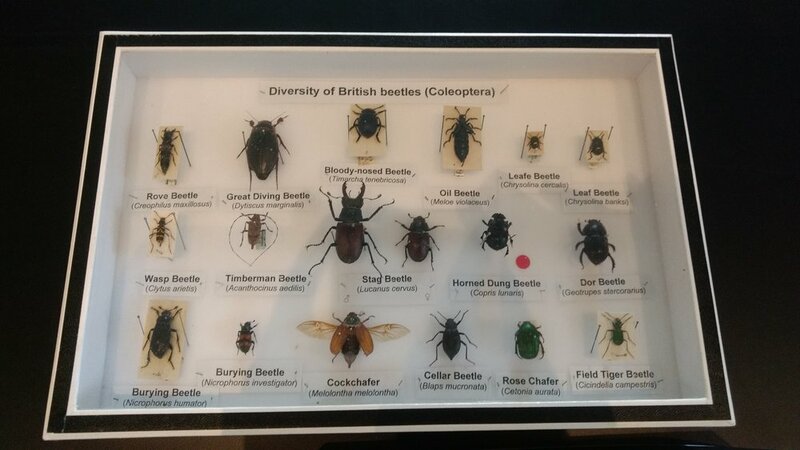 Phil brought a fine selection of insects from the collection along with a font of knowledge that he shared with us. We were particularly interested in hearing about local insects and where to see usual ones, how to set up the equipment to attract, observe and record the myriad of moths in our own gardens, and what we can do to make our gardens more insect friendly. The next week Michelle Scott came to talk about Egyptology. A highlight was hearing about an ancient Egyptian piece originally accessioned into the Museum's collection as a 'miscellaneous object' which turned out to be a piece of technology that told the story of a historic arms race and the ingenuity of these ancient people. The object looked like a white stone bobbin, sadly broken in half but inscribed with beautiful hieroglyphs. Michelle was masterful in building the tension and intrigue as she told its story and eventually revealed what the object was. 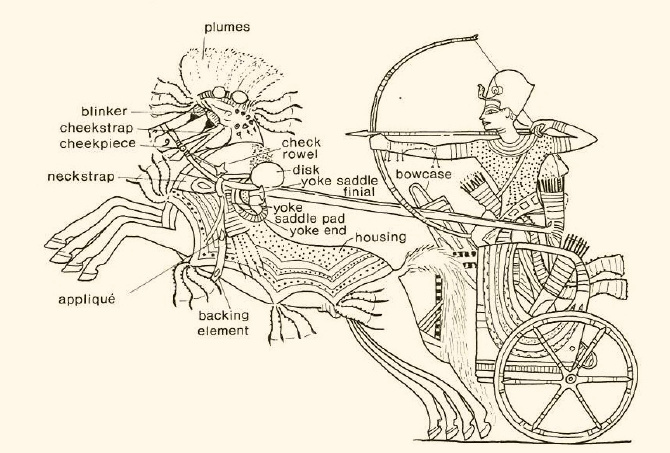 Egypt was being attacked by its neighbours who came on two person chariots which allowed one to drive and a second to use a bow and arrow. Egypt didn't yet have this technology and so was losing battles and land. And then, when our object was invented, Egypt began winning the arms race! It is a finial of a yoke-saddle that allowed the Egyptians to build a much more manoeuvrable single person chariot, one which could be steered with the hips whilst firing a bow and arrow! But the story didn't finish there, Michelle them turned to looking at the hieroglyphs and what they said was so exciting: "Amenhotep-bringer of fear to foreign lands". This was likely a finial from a royal chariot! And we were able to pass it round and have a physical connection to a king living around 3,500 years ago. What a privilege! Finally, Karen Brackenridge came along with two of the Museum's volunteers and they brought objects from the money collection and medical pieces, some of which were on loan from the Manchester Museum of Medicine and Health. They brought medicinal minerals, such as barite, which is used in a barium meal, a diagnostic test used to detect abnormalities of the esophagus, stomach and small bowel using X-ray imaging; calcite, which can be used as an antacid, and gypsum, used in plaster casts. From the Egyptology collection they brought an ear stone amulet, used as a kind of supernatural phone, whispered into to appeal to the god's for good health. More modern items were a Victorian trepanning drill, used to cut a hole in the skull and an infant bronchoscope dated 1910, a very early version of a life-saving device used to extract foreign objects from the throat. Really unusual objects! The pre-decimal coins that Karen chatted with the group about inspired lots of conversations about days gone by and we enjoyed Karen's easy manner and the relaxed nature of this session. A perfect fit for Maggie's! These sessions were delivered with the intention of offering Maggie's Centre visitors, people living with cancer and their family and friends, the opportunity to experience the learning opportunities and sheer wonder that engaging with museum objects and meeting the experts who study them can bring. Many thanks to all the curators and volunteers who shared their time and insights and thanks also to the centre visitors who came and shared their wonderful enthusiasm and curiosity! The sessions were facilitated by Wendy Gallagher, Arts for Health Partnership Manager at Manchester Museum. It was a fabulous programme Wendy, thank you!